The +Hubble Space Telescope is at it again, providing us with a mesmerizing glimpse into the early Universe- this time, with even more color. Using a composition of three separate exposures taken from 2003 to 2012, ultraviolet wavelengths were added to the mix of one of the most profound images of our Universe. About 10,000 galaxies are observed in this image, which was composed of 841 "orbits" of telescope viewing time to create. 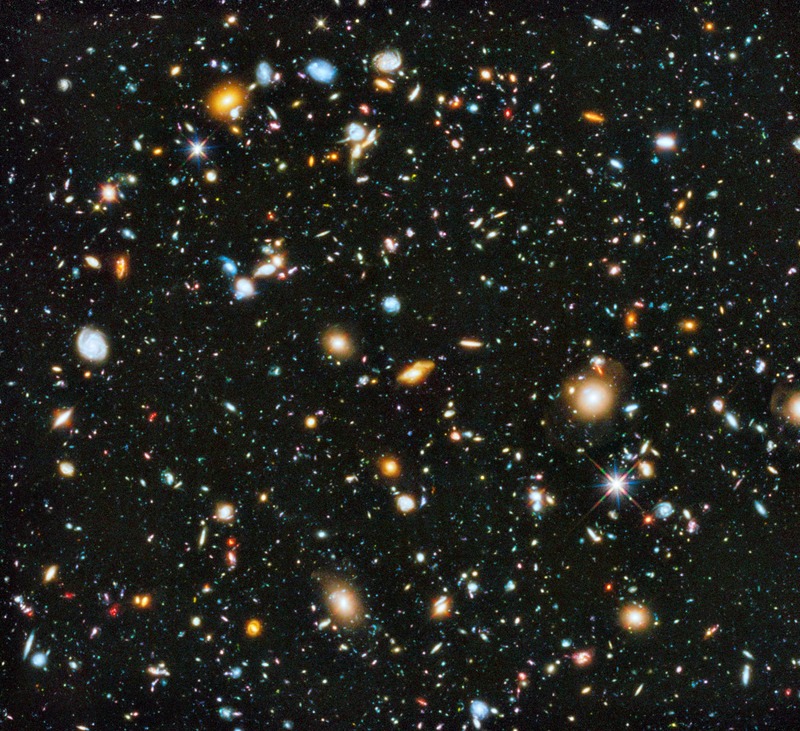 The observations in ultraviolet light came from Hubble's Advanced Camera for Surveys, which added to the bands of visible and near-infrared light that the Wide Field Camera 3 sees the Universe in. Observing galaxies in ultraviolet is extremely beneficial to the Ultra Deep Field images because of the time that light was emitted. Looking at areas between 5 and 10 billion light-years away is giving us a glimpse into when stars in the Universe started forming. Seeing in ultraviolet (something that can't be done from surface telescopes very well), gives researchers a better understanding not only of how early stars formed, but can see their evolution over time.